Aquazzura pump with metallic suede upper. 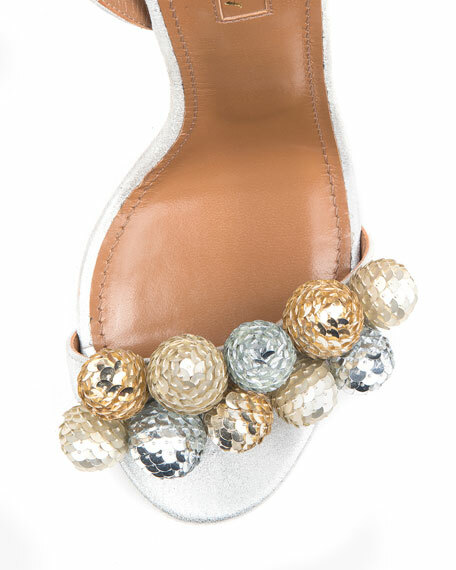 Sequined balls detail toe strap and tie. Ankle ties connect to halter. "Disco Thing" is made in Italy. For in-store inquiries, use sku #1785554. 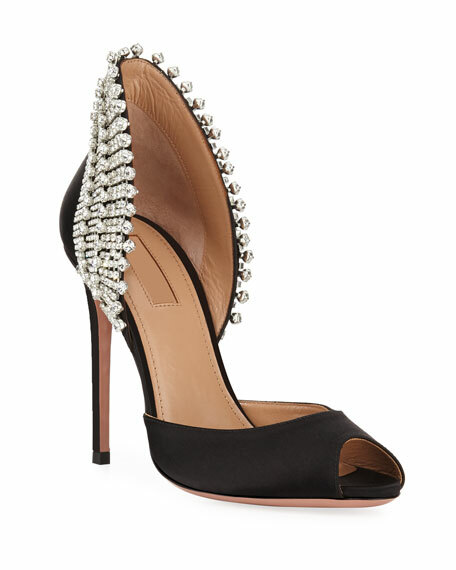 Aquazzura metallic fabric sandals with crystal embellishment. 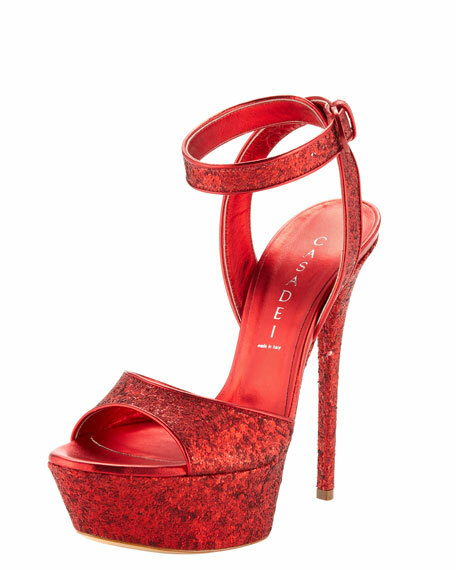 4.1" covered stiletto heel. Peep toe. Modified with raised back. Slip-on style. Leather lining and sole. "Concorde" is made in Italy.